Are you looking for inexpensive bridal shower gift ideas? Inexpensive doesn't mean that your present has to to be tacky or look cheap. There are many ways to come up with great ideas on a limited budget. Some of the best gifts are those that come from the heart. First, look to your own talents. Are you skilled in a craft? Do you like to sew? Are you a great cook? Others pay good money for gifts made with these skills. Next, think about the recipient. What could you put together that this person or couple would enjoy? See if you find something that appeals to you from the following ideas. If you're crafty, use your individual talent. 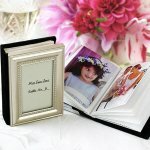 • make a scrapbook for the bridal shower, wedding, or honeymoon. There are many choices both in store and online. This is one of the inexpensive bridal shower gift ideas that is sure to be appreciated. If you're a good cook, use your culinary skills. If you sew, you may already have material for these inexpensive bridal shower gift ideas. General ideas...all of the following can be found inexpensively. 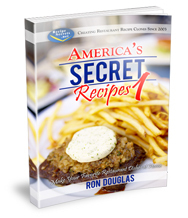 • make a coupon book...enter offers to help cook a meal for the new in-laws, clean the house for guests, grocery shop for a planned party, pick up dry cleaning, etc. • book...this can be on the couples interest, place they are going on their honeymoon, household tips, recipes, gardening, etc. • Find other gift ideas. • Go from inexpensive ideas, back to Bridal Shower Ideas For You Homepage.